Darsan Contracting provides complete landscape design and build services. 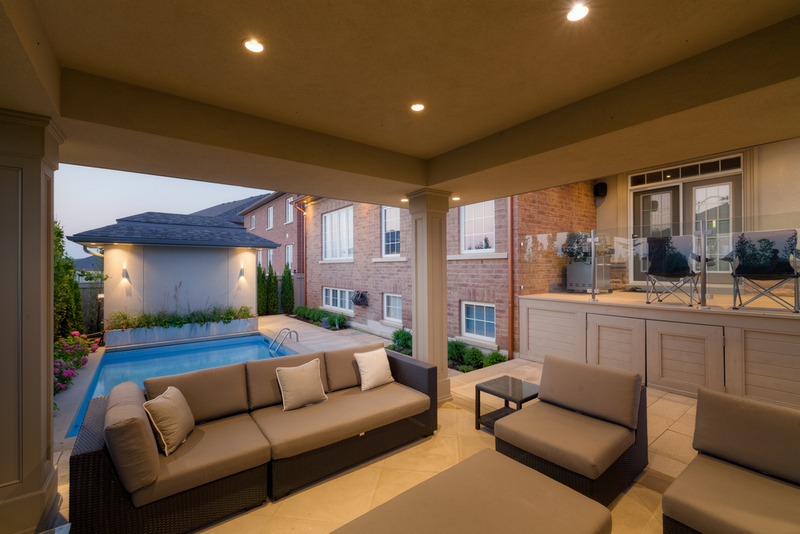 Darsan's team of qualified stone masons and carpenters can transforms ideas into reality, creating outdoor living spaces that are unique reflections of your personal lifestyle. This newly built home, situated on a small corner property, was a blank slate and privacy was a concern. This young, professional couple wanted to create the ultimate functional space that felt cozy but not confined. During the landscape design phase, priority was given to a small swimming pool, lounging area, and an entertaining /sitting area. 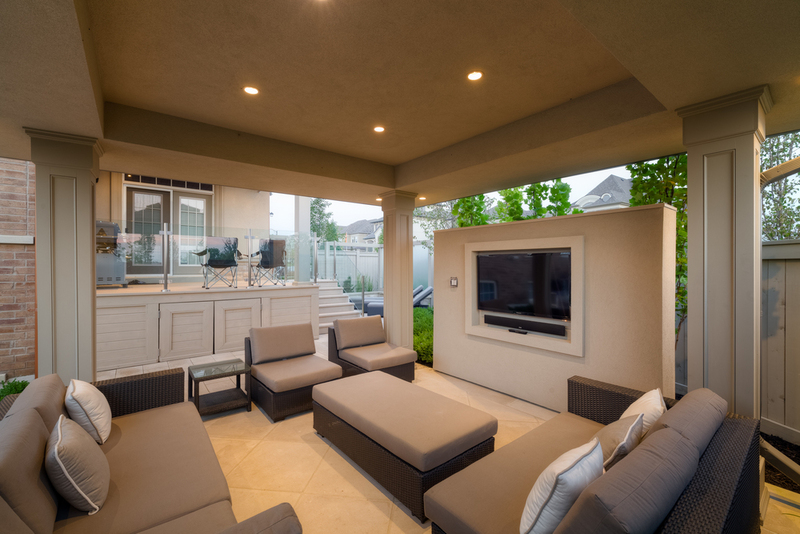 The idea of raising and sinking areas helped to define the different outdoor rooms, keeping mindful of access points, pathways and sitting areas. The back yard included a new raised cedar deck that was built off the indoor kitchen. 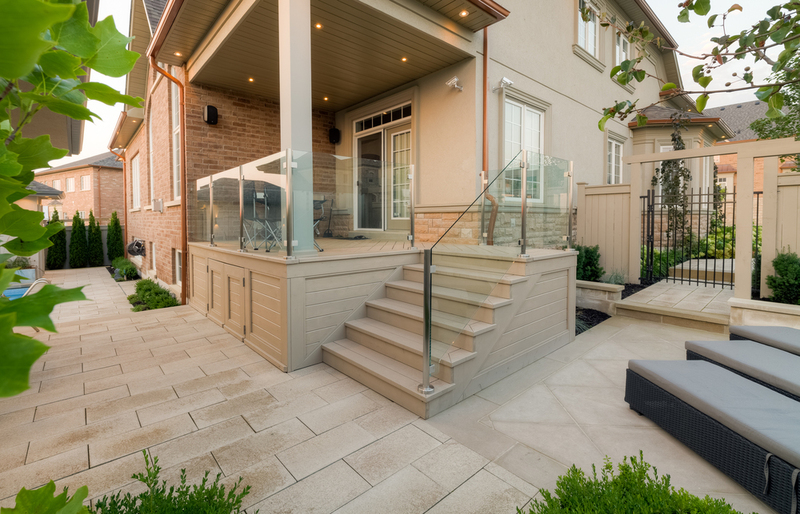 Recommending a stainless steel railing system with glass inserts kept an open air feel and provided a clear view. Coming off the deck to the middle level is the lounging area enclosed with an obscured glass privacy screen to maintain the contemporary flair. 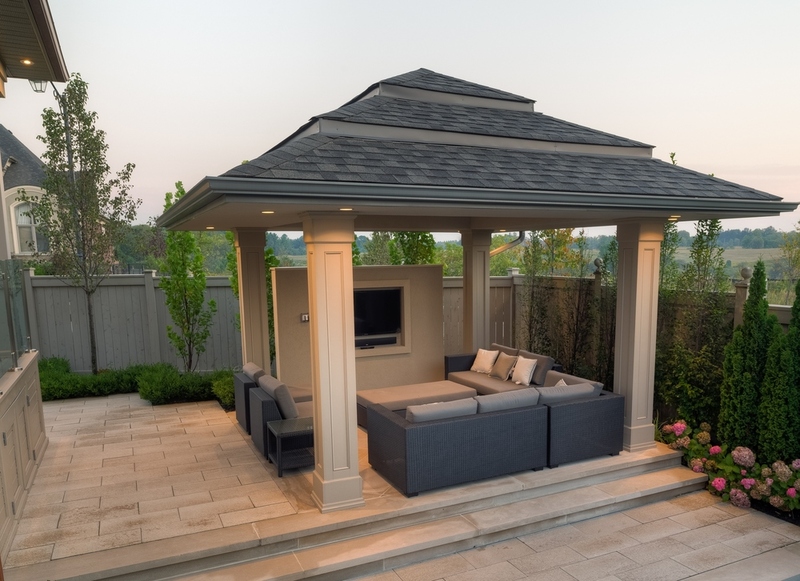 An open sided roof structure provided the perfect covered area to lounge and entertain. 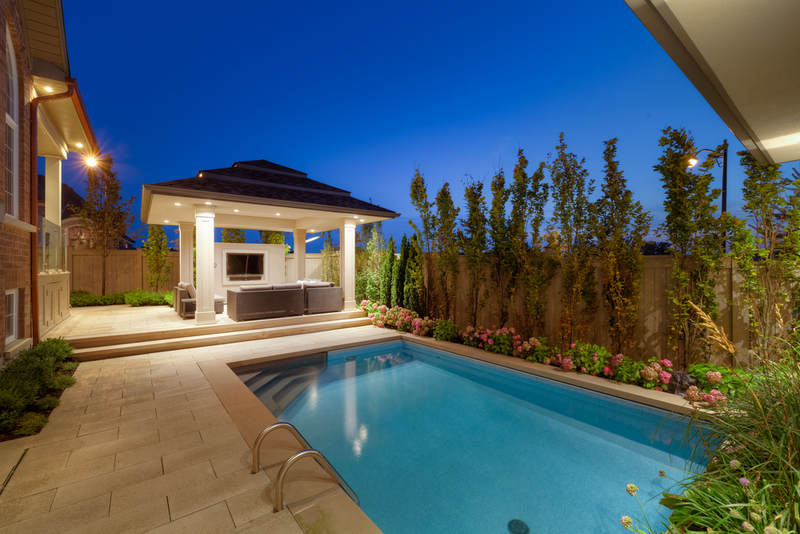 An inground swimming pool was built into the sunken patio area which also included a storage shed and outdoor washroom. Indiana limestone coping, step treads and borders were the perfect complement to the Umbriano lockstone pavers. The front yard landscaping was dressed up with a new concrete porch, veneered with Indiana natural flagstone. Large rectangular pillars were built on either side of the steps. Decorative stone walls added structure and interest to the various plants that were incorporated throughout. 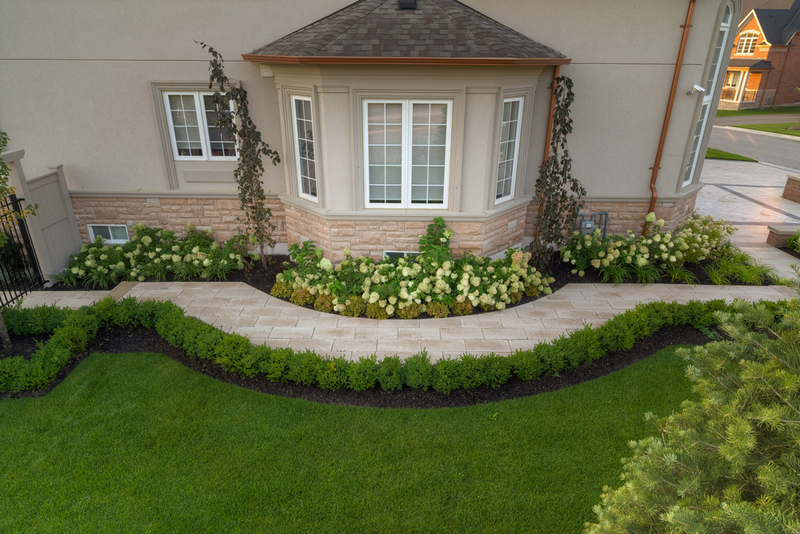 The driveway and side yard pathway were finished in Umbriano lockstone pavers.